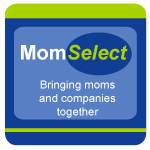 Welcome to all who have traveled from the 5 Minutes For Mom Ultimate Blog Party 2011! I am a bit behind in joining this year. There has been a lot going on in recent weeks. Some of you may recall that I am familiar with the UBP. Last year, I was the grand prize winner of the Toshiba Laptop. It all seemed like a dream at the time. Well, the night that they randomly selected winners, I had gone to bed early. I was not feeling well. Then, suddenly, my cell phone started going crazy. Tweets with mentions of my name were coming in one after the other. Half asleep, I noticed I was being congratulated, but I did not know why. Then I saw the #UBP10 at the end. Sure enough, I was the winner. Thank you again to Susan and Janice from Five Minutes for Mom for doing this fun event. I am not just saying that since I won last year. At the end of the UBP last year, I wrote about people that I met and blogs that I loved. One of those was Kelly’s Lucky You. Little did I know that I would meet Kelly at DisneySMMoms a few weeks ago and participate in the Wild African Trek with her. Please say hello to my family. 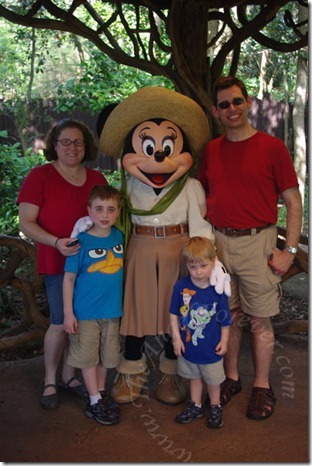 Here we are with Minnie Mouse after our recent adventure to Disney Social Media Moms Celebration. I started blogging in February 2007 while I was pregnant with my youngest son. For almost four years, I have been at home with my boys. Although I love this special time with them, I do miss teaching. My blog webmaster is also my hubby. You may know TechyDad from his blog or Twitter. This June we will celebrate our 10th Wedding Anniversary. The two of us had our honeymoon at Walt Disney World for 10 magical days. I am a HUGE fan of all things Disney – check out my category list on the left and you will see what I mean. Still processing all things from our recent trip there for the conference. It was only a year ago that I came out of my bloggy shell. Before this I was pretty anonymous, never said where I lived, and was happy with that. Now thanks to recent opportunities, I am reinventing my online self. The teacher in me loves to read books and share what we read. Most weeks I have a Tuesday Tales segment where I share some of our recent reads. 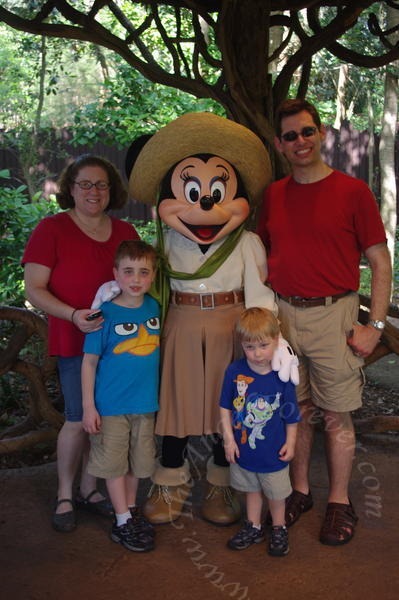 In addition to writing on TheAngelForever, I cover Education on The Disney Driven Life (I am NDM183 and proud of it) and am a columnist/blogger for KidsFunPlaza. I love meeting new people in real life and online – so please explore and leave some comments, link up to your UBP blog below, and I promise to stop over to say hello and get to meet you. You can also catch me on Twitter and I am still working on my Facebook fan page I just finished/published my Facebook page. Enjoy the 2011 Ultimate Blog Party and see you around! That’s awesome that you won the laptop last year! Off to check out your Tuesday Tales. Happy hopping! Congrats on winning the laptop last year !!! This is our first year doing the UBP and so far it has been so much fun !!! We actually launched our blog just in time to enjoy the party :O)! 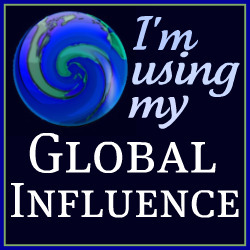 Look forward to getting to know you better through you blog :O) ! Hi! Popping by via UBP11 :) Lucky you winning the laptop last year! How fun! That is so cool that you were the grand prize winner last year!! Wooowho! Are you using that laptop still for all your blogging fun now? I am an anon blogger right now and fine with that. :) It’s nice to know that others are okay with it too. I am not sure if I will ever come out of my shell though. I was a closet blogger for over a year but am loving the world of openly blogging and this UBP!! !